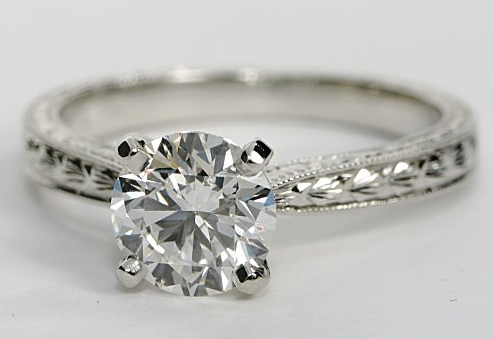 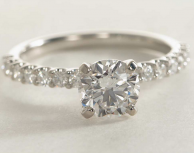 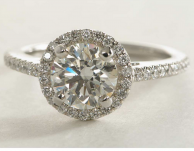 Elegant engagement ring that will stand out in a crowd of other rings! 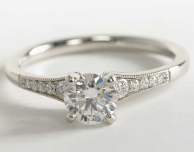 The engraving on this setting is hand-crafted and makes this ring shine in the light along with your center stone. 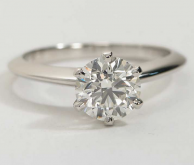 Can be set with any shape diamond.